2 Bdrm 1st flr Flat. Hall. Lounge. Kitch. 2 Bdrms. Bathrm (CT band - E). Parking. Price over £105,000 Entry by arr. Viewing contact solicitors. (EPC band - C). 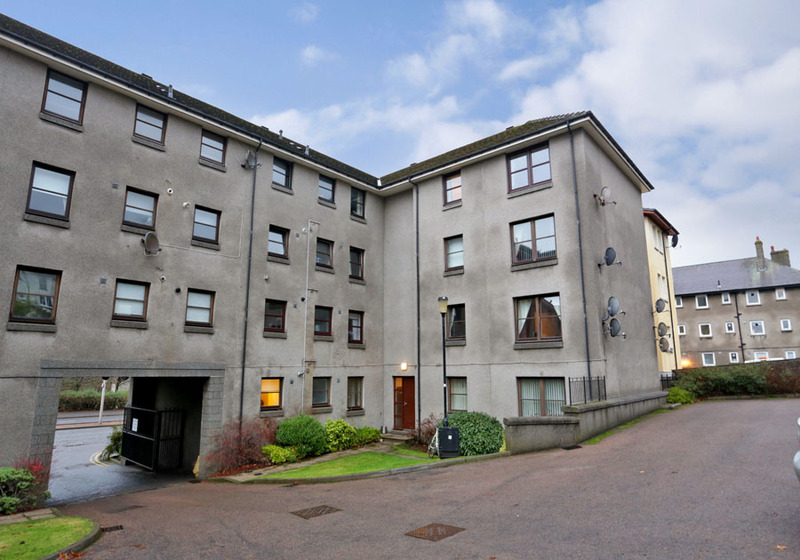 Situated within a purpose-built modern yet established residential development, this particular TWO BED APARTMENT occupies an enviable position in a quiet location situated to the rear of the development. 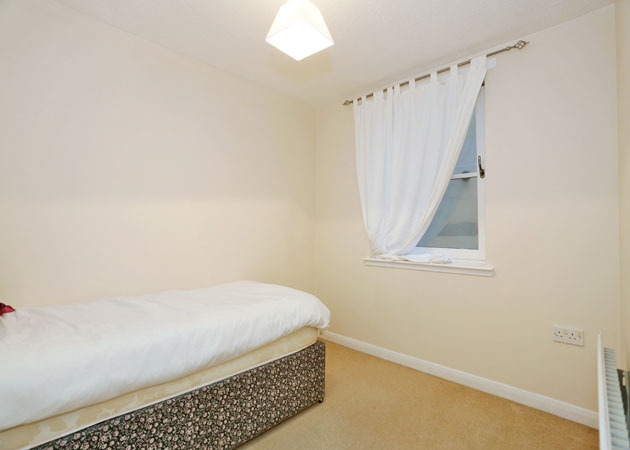 The property is in good order, of fresh decorative appearance and also enjoys the benefits of security entry, Gas Central Heating, Double Glazing and a fitted Kitchen within which the white goods are to remain as are the carpets, curtains, blinds and light fitments. This particular property would undoubtedly represent an excellent purchase for the first time buyer, student purchaser or letting investor. Great Northern Road is one of the main arterial routes to the City and the area is well served by local shops and public transport facilities and is also extremely convenient for the airport and oil related offices at Bridge of Don, Dyce and for the Aberdeen University Campus at Old Aberdeen and also for Foresterhill Hospital. DIRECTIONS From the northern end of George Street, continue onto Powis Terrace, follow the road round onto Great Northern Road and travel along for some distance. No 651E is located on the right hand side. 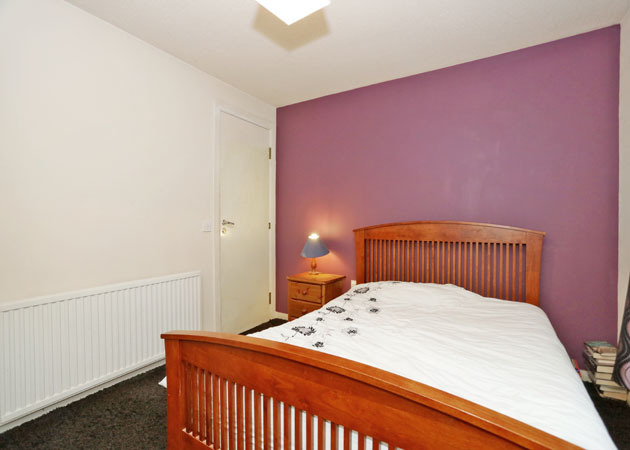 HALL: Hall with laminate flooring, smoke alarm, storage cupboard. LOUNGE: 15’ x 11’3” approx. 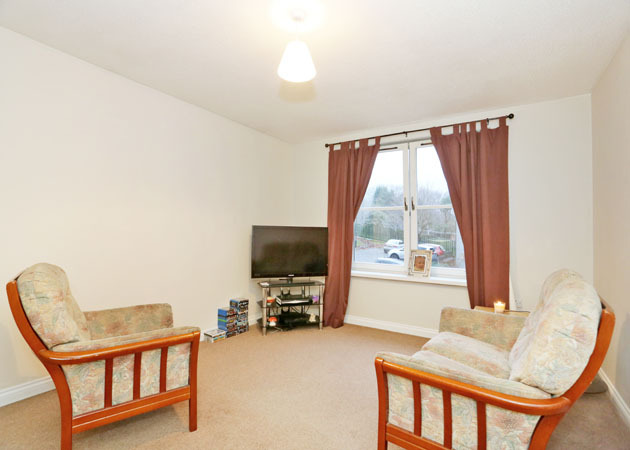 Nicely proportioned bright, airy Lounge with curtain pole, central light fitment and TV point. KITCHEN: 7’8” x 5’10” approx. 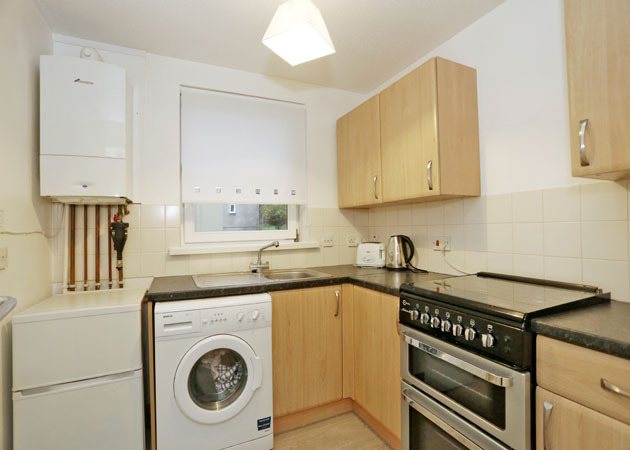 Kitchen with base and wall units with beech doors and stainless steel handles and co-ordinating work surfaces, wall mounted central heating boiler, fittings for plumbing in an automatic washing machine, cooker control point, stainless steel sink unit with mixer tap, space for fridge/freezer. NB. The Beko Automatic Washing Machine, Flavel Electric Cooker and Fridge/Freezer are all to be included in the price. BEDROOM: 11’ x 9’9” approx. 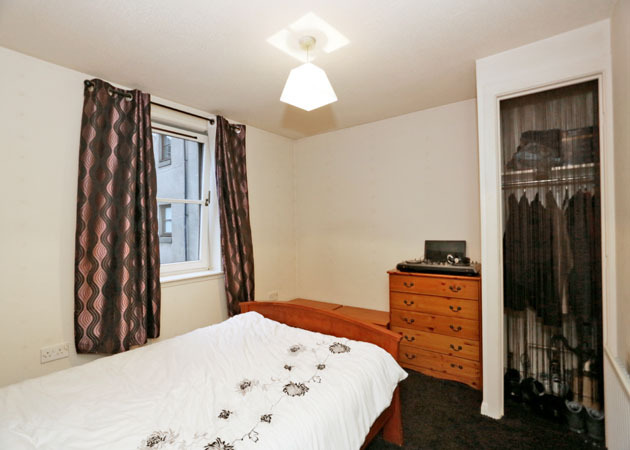 Double Bedroom with fitted wardrobe. BEDROOM: 9’4” x 7’10” approx. Double Bedroom. 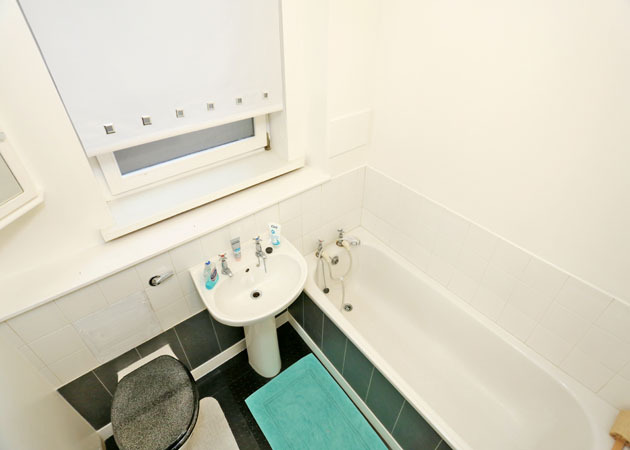 BATHROOM: Bathroom with white suite, tiled splashbacks, pine toilet seat, corner medicine cabinet, vinyl flooring. GENERAL: The carpets and other floor finishes, curtains and light fitments, together with the white goods in the kitchen are all included in the price. OUTSIDE: Private parking facilities for residents and guests. Shared drying area.